Sound of the record, guitars full of echo, great songs. We are back in the seventies! And it’s real. 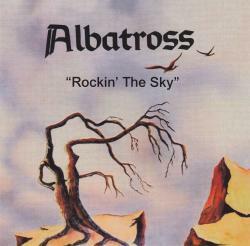 This only album of this American band Albatross has been issued in 1975 and shows how god these musicians were. This album has been reissued in cd and we can listen to the noise of the recording, but it’s still good. It’s a kind of nostalgia on this album. Mid tempo blues “Out of Control” is exactly in that spirit with a guitar sounds full of echoes.”Back Street Lover” is a Country-Rock song with slow moments. After a good guitar solo, song becomes faster and faster on a Country rhythm with great guitar interventions. “Same Old Song” looks like Black Sabbath at the beginnings and “Nor Reason to Cry” is a Hard Southern Boogie song, just like on Molly Hatchet or .38 Special albums. Best songs are the final four. “Yankee Jam” is an instrumental jazz-rock song makes us think at Stillwater or Sea Level. Swing and melody are on “Both Sides Now”. Unfortunately the organ sound is pretty bad but guitar parts are great. “Other Side of Town” looks like a Poco country-rock song with a really beautiful solo. Organ is not good enough on “Mean Woman Blues”, a Southern soul slow, with a fast final in a rock and melodic way, just like Jeff Carlisi. This album gave real promises and it’s pity that Albatross hasn’t issued other albums. Thank you to Southern Records for the publication of this old album from the past.